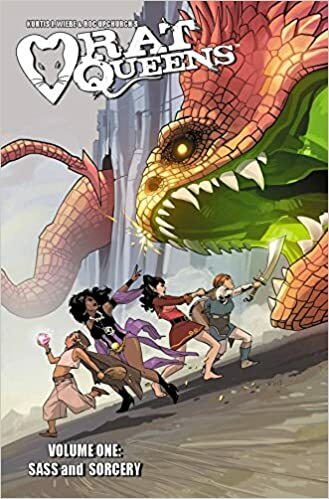 While perusing products on Amazon prime day (a very overrated affair), I stumbled upon the Rat Queens, my new all-time favorite comic book. At $6, you can’t turn this down. Great art, laugh-out-loud funny, good story, and many promises for character development in future volumes. Buy it already. Stop whatever you’re doing and buy it. Just stop breathing, drop your baby on the floor, navigate over to amazon and get this thing in your hands ASAP. Then pick that baby back up, you monster.